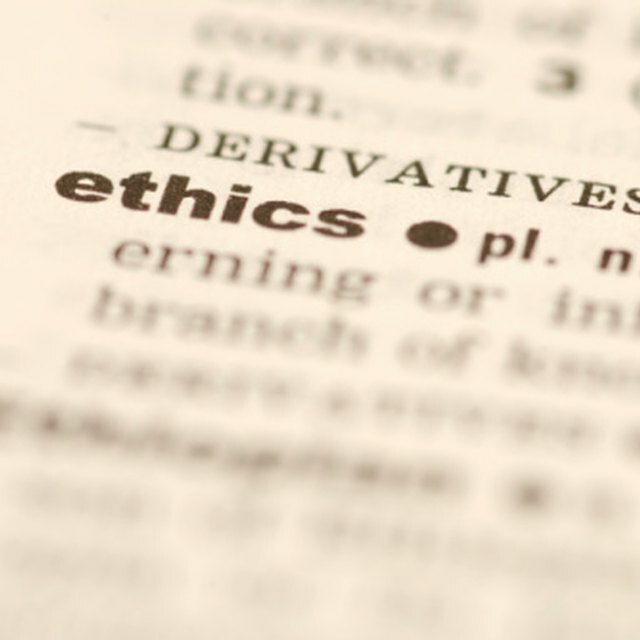 Ethics is a branch of philosophy dealing with human action. Many theories have come and gone, while others have withstood the test of time. The basic structure of an ethical theory is that it must account for what makes a "right" action different from a "wrong" one. In other words, there must be a way to refer an action to some conception of the good to judge it as conforming to the good, or rejecting it. This "way" is the very heart of ethics. The central core of Platonic ethics is the organization of the human soul. Plato theorized that every human soul has three parts: the rational, the “spirited” and the passionate. For ethical behavior to exist, the soul that is committing the action must be properly organized, with the rational part ruling and directing the other two. Reason must command, organize, rationalize and focus the desiring or willing parts of the soul. The purpose is to adjust one's desires: one seeks the general good, not the mere passing things of fancy. The basic Christian ethical theory of St. Augustine and others also has to do with organizing desires. Human souls desire the good, found only in God. This good is unchanging, permanent and always satisfying. The goods of this world, such as food, drink or wealth, are only partially satisfying, since these are always changing and human physiology always demands them. God, however, as the final end of all things, is the end of human souls as well. The soul that “rests” in God is the soul that wants nothing other than God. Therefore human action is to manifest the spiritual life in the choices the individual makes. Utilitarianism stresses the moral worth of what actions produce in the world. A utilitarian ethic is often based around the idea of human pleasure. People are attracted to pleasurable things while repelled by painful ones. The purpose of human life is to create a society where the pleasures of life are stressed at the expense of the painful ones. Immanuel Kant is the most famous of the deontologists and constructs an ethics based around the autonomous will. The autonomous will acts without any interference--such as class interest--from the outside. This will is totally free because it is universal. It is universal because it is motivated only by itself. This will then wills the good, the universal maxim that all actions are good if the maxim itself can become a universal law. Then, each will in the world becomes an end in itself because it can legislate this universal law. Every moral maxim you live by, according to this theory, should be a universal law, or one that can be universalized. You should not cheat, for example, because, if cheating were made a universal law, most social relations wold break down through distrust. Hence, not cheating is a universal construct.